VPBC aims to tell and be Good News in the community. If this vision is to be achieved we need to be a living community of faith, love and service. The Good News of God has been unfolded in the Bible and revealed clearly in the person and message of Jesus Christ. We encourage one another and all other people to follow Jesus and be transformed by him. An Inclusive Community: following Jesus in transcending barriers of gender, language, race, class, age and culture. Identifying with those who are rejected, deprived and powerless. A Sacrificial Community: following Jesus in accepting vulnerability and the necessity of sacrifice. Seeking to reflect the generous, life-giving nature of God. A Prophetic Community: following Jesus in confronting evil, injustice and hypocrisy. Challenging worldly concepts of wealth, power, status and security. A Missionary Community: following Jesus in demonstrating in word and action God's forgiving and healing love. Calling and enabling people to experience the love of God for themselves. A Worshipping Community: following Jesus in engaging in worship and prayer which inspire and undergird all we are and do. Exploring and expressing what it means to live together as the people of God, obeying his Word and following Christ in the whole of daily life. We are also seeking to use good practice at all times. Our Child Protection Policy governs the practice of our Child and Youth work as well as all groups who will use the building for activities with people under the age of 18. Our church and fellowship is made up of people who have backgrounds in many branches and denominations of the Church. This is a rich and healthy experience. The Baptist Church movement dates from the 16th Century. It is not a single church or denomination, but rather groupings or unions of churches. Each church is independently governed by a leadership team, and the committed members through the Church Meeting. The leadership team is usually a Pastor in conjunction with Deacons and Elders. Worship is often centered around a sermon in the form of exposition and a challenge or application. Baptists are so named because only adult Believers are baptised on profession of a personal faith in Jesus Christ. Wherever possible this is a public service and the baptism is by full immersion. It is followed by joining the local church. Some Baptist churches choose to operate independently, but most have grouped together for the purposes of mission in associations like the London Baptist Association and the Baptist Union of Great Britain. Most Baptists are Evangelical in theology, emphasising personal conversion and discipleship, and Jesus (as revealed in the Bible) as the final authority in matters of faith and conduct. Baptists believe in the "priesthood of all Believers" and therefore that it is the responsibility of every disciple to bear witness to Jesus Christ and take part in the evangelisation of the world. We are members of the Baptist Union and support Home Mission. 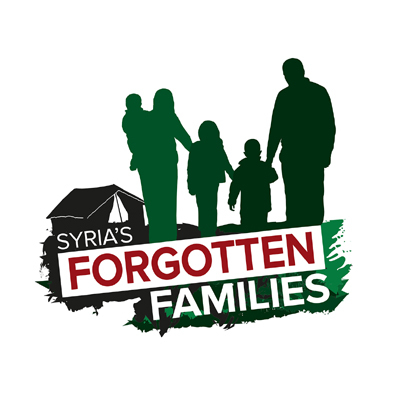 We support BMS and their work with Syria's Forgotten Families.